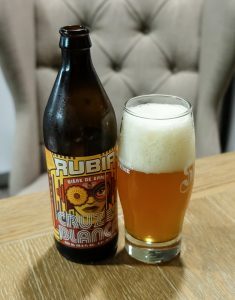 I should probably do a whole brewery visit post next time I’m home, but for now, I just have this review and photo of their Rubia to share. 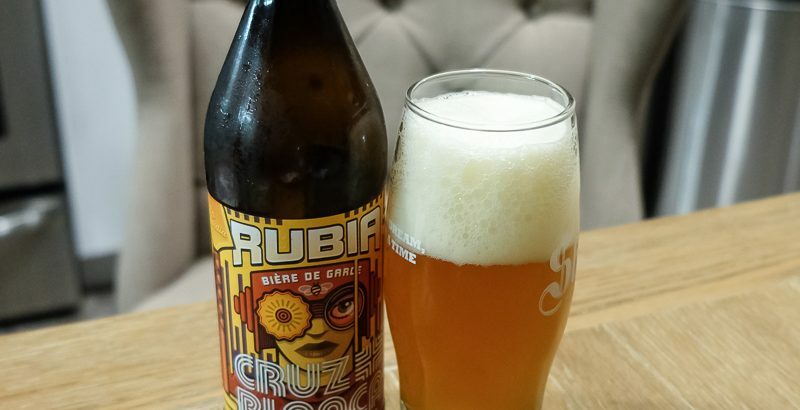 Cruz Blanca doesn’t bottle too many of their beers, but they had four-packs of Rubia available all last year. We picked up a pack before our move to bring with us across the country, and I managed to hang onto the last bottle until November. 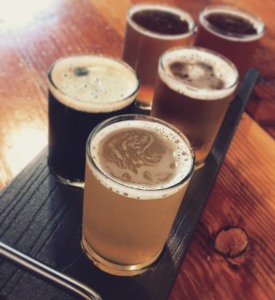 Rubia (which means “blonde” in Spanish) is a blonde bière de garde and it was usually on tap. I often started with it, because it pairs well with pork tacos and guac, my usual food order. It tastes much lighter than 6.8%, with sweetness from local honey. It’s bright and flavourful, but not overpowering. And it didn’t usually pour this foamy; we just weren’t super kind to these bottles during the move, so I suspect it was affected a bit. I’ve given this 4 to 4.5 stars, depending on the occasion, and settled on 4.25 for this last bottle. Also: it’s always been on Untappd as “La Guardia Rubia,” and I’m not sure why.